My name is Chris. As of now I have not ever smoked a cigar, well, at least not while sober. Growing up I have always been surrounded by cigar smokers so there is a comforting appeal to the smell. It has always fascinated me but I never took the opportunity, not even when my daughter was born which would have been the traditional thing to do, and now feel in my mid-thirties I think it’s about time I should give it a try. Chris: Cigar smoking doesn’t seem to have the negative connotation cigarette smoking has, why do you think that is? Cigar Choice: The only purpose of a cigarette is to deliver nicotine. Cigarette smoking is an addictive habit. Having quite five years ago I can attest to their addictive power first hand. Cigars aren’t typically smoked for that reason. They are used as a way to celebrate a special occasion or to relax after a long day. 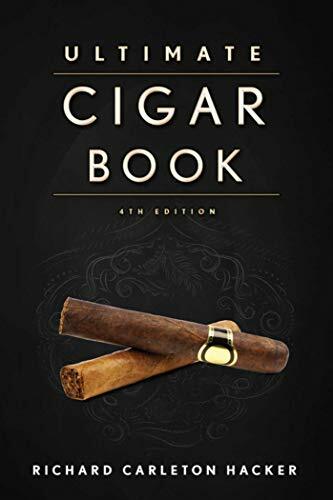 Your typical cigar smoker usually smokes less than five cigars a week and doesn’t have the same physical addiction to cigars as a cigarette smoker does to cigarettes. I fear much of that is going to change soon though as the cigar industry is coming under increasing attack. Chris: How would you start with cigars? Buy a selection or would you go for a particular cigar? 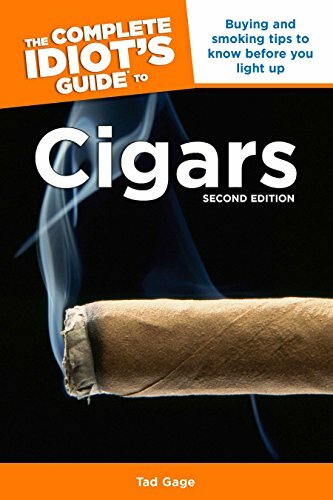 Cigar Choice: Try and find a good local shop where you can ask some advice and also check out some of the great cigar websites out there for ideas on what to try. I’d definitely buy a selection, and take some notes on what you like and dislike. If you choose to order online most places offer samplers. Chris: Is it an acquired taste? something you need to practice? 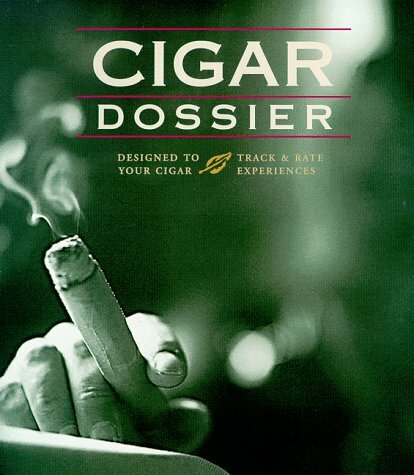 Cigar Choice: Cigars vary in flavor profile and strength so much I believe certain cigars are an acquired taste. Your tastes will change over time, but I’ve liked cigars since the first one I tried. I started out with some milder cigars and now smoke some stuff that are so strong they would have left me green five years ago. Chris: How do you smoke a cigar? Light it and start sucking on it? Cigar Choice: Cutting a cigar is the first step. Typically you want to take no more than 1/8 inch off the cap. Matches are the more traditional route, but I prefer using a butane torch lighter. Don’t get the flame too close to the foot, as this will burn the cigar, and your aim is to just lightly toast it. Once the foot is warmed, you want to start lightly puffing on it and rotating it to get a nice even burn. When the cigar is lit you’ll want to go slow. The rule of thumb is take a puff or two about once a minute, as this keeps the cigar from getting too hot and can help subtle flavors become more noticeable. Chris: Inhale/don’t inhale? People I talk to say that you shouldn’t, but most of them do anyway? Cigar Choice: I strongly recommend not inhaling a cigar if you can help it. Inhaling too much will quickly turn you a lovely shade of green. I end up inhaling some especially if I’m trying to exhale the smoke through my nose. Your nose does a better job picking out nuances than just your tongue. I’m still trying to get the hang of this myself. Chris: Do you get what you pay for, or is it like wine where price isn’t always a great measure of quality? Cigar Choice: Cigars are exactly like wine in that respect. By looking out for small unknown brands I’ve found $4 cigars that I think are much higher quality than some $10 cigars. Many of those $10 are that price because too many people think price equals quality or the company has spent a large amount of money marketing it. Chris: What’s the deal with Cuban cigars? Cigar Choice: Cuban cigars do have a unique flavor you’ll only find in a Cuban cigar. This is often referred to as the Cuban “Twang” and I can recognize it when I smoke one but I can’t describe it. The embargo definitely added to the mystique. Some are better than what you can get in the States and some are worse, most of that comes down to personal preference. Though in my opinion you haven’t had a cigar until you’ve had a Cuban Partagas Serie D No. 4 that’s been aged for a few years. Chris: There seem to be lots of accessories and fancy gizmos, necessary? Do they add to enjoyment? Cigar Choice: Depends on your geek factor! 🙂 I love gadgets to begin with so cigar smoking introduced to me to a whole new realm of gadgets. But honestly they don’t really add any enjoyment factor to the experience. Some wooden matches, a cutter or in a pinch a razor blade is all you need. My preferred method of upping the enjoyment factor is some good company or a good book along with a good drink. Chris: So is it an expensive thing to do? Cigar Choice: You can get started fairly cheap. A plastic air-tight food container or cooler can work as a humidor if you plan to keep cigars for more than a couple days. Right now my favorite lighter is a Ronson torch lighter- one of the best cigar lighter. The only thing that is worth dropping the extra cash on is a good cigar cutter. A bad cutter can destroy your cigar by damaging the wrapper, maybe even rendering the cigar unsmokeable. I learned to set a budget for myself to keep it from getting too expensive. Some of the cheaper bundled cigars can be had for under $2 a cigar. Typically these are short filler and use the scraps from the more expensive cigars. Chris: Which is your all time favorite? Cigar Choice: My all time favorite is the Partagas Serie D. No 4 from Cuba. A close friend of mine gave me one that was nearly five years old and I’ve never tasted a cigar that good again. Pair something like that with some really good rum and it can make for a fantastic evening. Thanks Chris for putting together these questions together. If any readers have some recommendations or additional advice please feel free to post a comment. This is a guest post/interview provided by Chris Garrett. Chris is one of the pro bloggers that I read on a regular basis for new ideas and blogging strategies. Why is it that cigar enthusiasts break out into a big smile, whenever you mention “cigars” to them? It’s because cigars usually mean a lot more to them than just a stick of wrapped tobacco. For his first blog post here at Cigar Choice, David Mayar takes us back to his first cigar, and shares the reasons why he likes not only cigars themselves, but what they represent to him. I don’t remember the first cigar I smoked, although I remember the situation. It was my best friend’s high school graduation party. His neighbor was a cigar aficionado—still is, too—and he gifted us two fine handmade cigars. He walked us through the process of cutting and lighting, and warned us not to inhale. It was all downhill from there. In trying to be cool and hoping to impress some ladies, we probably looked like fools. Nevertheless, that party marked the beginning of an enjoyable vice. Over the next fifteen years and up to now, I have smoked my share of cigars. While I haven’t smoked as many as a lot of guys out there, I can honestly say I have enjoyed every cigar I’ve had. I can remember several different moments in my life that involved a cigar. They are as clear as day in my mind; for the life of me, though, I couldn’t tell you exactly what I smoked in any of those situations. There was a touching moment with a grandparent; the interesting, yet awkward drink with an ex-girlfriend’s fiancé; the rare opportunity to smoke a Cuban cigar legally while on my honeymoon in Germany; and finally, a reunion cigar with my best friend after seven years apart. It never mattered to me what I was smoking at those times, just that I was able to. On a more recent note, I have had the time and money to smoke more in the last eighteen months than ever before. I have also taken to hanging out at my local brick and mortars more. In this time, I have met some great people. Can’t say I know all their names, but we all recognize each other when we meet up at the shop. There have also been a few that I have had the pleasure of getting to know and herfing with other cigar lovers on a semi-regular basis. It still amazes me how cigars can bring people together. When the smoke is in the air, it doesn’t matter what you do for a living, where you live, or what you drive … we are all friends. 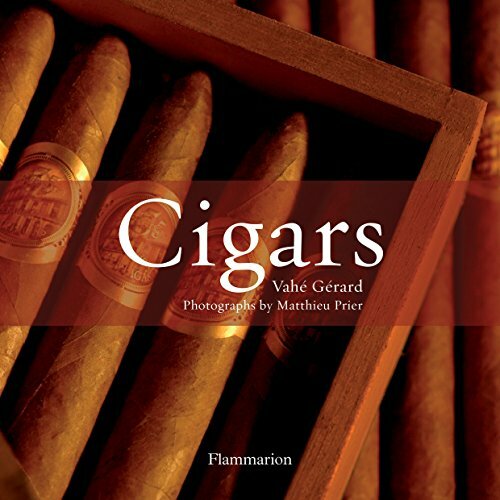 In my mind, there is more to cigar smoking than just the cigar itself. It is the appreciation of the work that went into the cigar, the people with you (or the ones who are not or cannot be there), and the situation in which you find yourself as a whole. 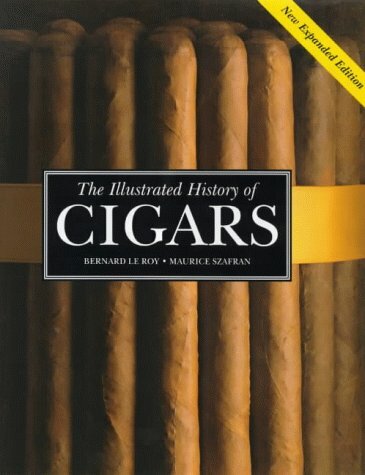 What’s your favorite cigar story? Do cigars evoke special memories for you? Let us know in the Comments section of this post.